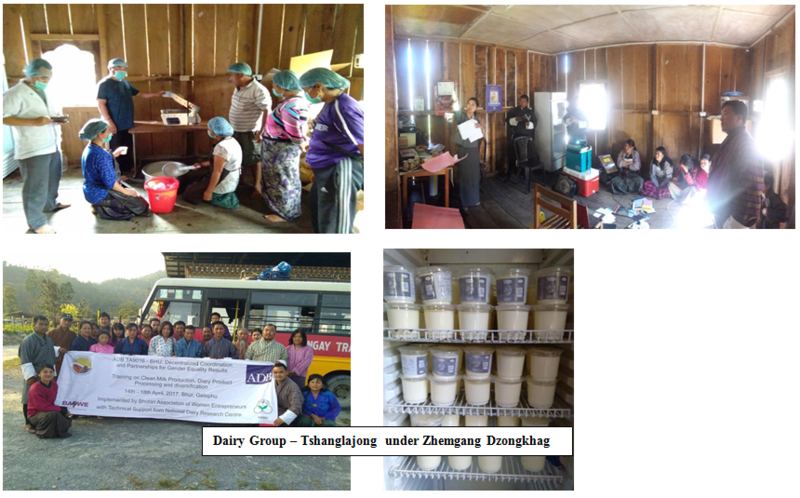 Improving the economic status for vulnerable women and girls in the selected rural areas (Trongsa, Zhemgang, Trashigang, Samtse and Pemagatshel) by enhancing their capacity to access livelihood (including micro enterprise) and employment opportunities, National Commission for Women and Children (NCWC) as a Project Management Unit, READ Bhutan as an executing agency, the project ‘Decentralization Coordination and Partnerships for Gender Equality’ funded by the Asian Development Bank (ADB) was initiated in June, 2016. (iii) Providing assistance to SHGs. Eligible activities will include strengthening the livelihood and entrepreneurial activities of SHGs by training them to use and maintain technology and product marketing; facilitating their participation in public and private livelihood and entrepreneurial skills training programs; and providing them with direct links to business development service providers. BAOWE works closely with Self-help groups (SHGs) and women’s association engaged in livelihood or business activities and facilitates access of SHGs to business capacity building services and organizational strengthening opportunities by linking them to relevant government, private sector agencies or companies, and international experts. 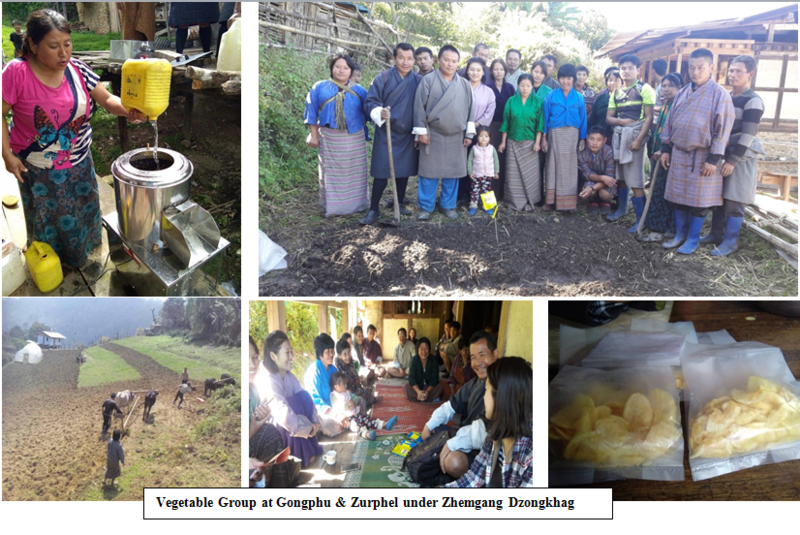 Project works towards facilitating to enhance and strengthen both participation and contribution by the Farmer Groups in the economy of Bhutan by becoming owners or co-owners of small, cottage and micro-enterprises at the village level. It is to build capacity of functional women Self Help Groups (SHGs) by enhancing their marketing capacity and promoting an entrepreneurial culture in the villages (and potentially extending to the whole district) where these SHGs are operating. More viable and productive SHG enterprises will create employment and enhance rural income. Enterprises will be facilitated based on available resources in the villages and a value-chain approach will be adopted. Through active awareness activities to enhance understanding about the project and its goals, communities will be mobilized. This TA also aims to enable close to a thousand poor rural women increase their income through micro-enterprises set up by self-help groups (SHGs) where they are members. The Output of this Project is capacity building of selected self-help groups on upgraded production technologies and market accessibility undertaken. Capacity development program on upgrading of production technologies and increased access to profitable markets for SHGs will be implemented, leading to technology upgrading and expanded market base for selected products such as raw and processed fruits and vegetables, medicinal aromatic plants, cardamom, animal feeds, milk, and poultry. 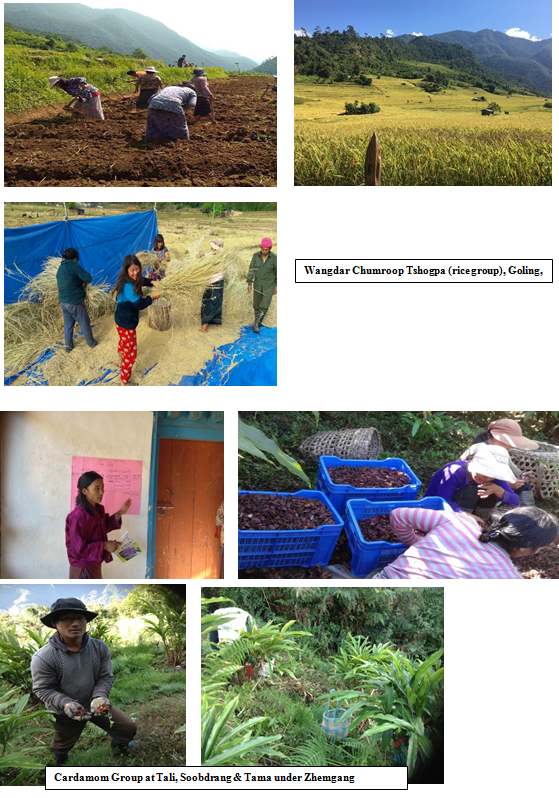 CDTA is the Phase II of JFPR 9155 Grant Project which will be supporting the Existing SHGs and the new ones in terms of Technical aspect and also for capacity building.